Seborrheic dermatitis, a common condition that often affects the scalp, causes your skin to appear scaly, flaky and oily. When seborrheic dermatitis occurs in teenagers and adults, the condition is most commonly known as dandruff. Although seborrheic dermatitis usually occurs on your scalp, it may also arise on your face, chest and other areas. Herbal remedies may effectively treat your seborrheic dermatitis, but always consult your physician before using herbs. The precise cause or causes of seborrheic dermatitis are unclear, although this condition may be caused by excessive oil production and irritation associated with a certain type of yeast. The National Center for Biotechnology Information states that seborrheic dermatitis tends to occur in families and is more likely to occur if you are stressed, fatigued, use alcohol-containing lotions and are obese. Some of the most common symptoms of seborrheic dermatitis include scaly skin, skin redness and itching in the affected area. In "Prescription for Nutritional Healing," nutrition researcher and certified nutritional consultant Phyllis A. Balch states that several herbal remedies may be helpful in treating your seborrheic dermatitis. Dandelion, goldenseal and red clover are commonly used to treat many skin disorders, while emu oil -- which is applied to your skin -- may help reduce inflammation in the areas to which it is applied. Olive leaf extract may help heal your skin, and oat straw helps relieve inflammation and reduce your itching. Oat straw is an herbal remedy that may effectively treat your seborrheic dermatitis and improve your quality of life. Oat straw, according to Balch, is often used to treat skin disorders, depression and bed-wetting. This remedy helps combat the negative effects of stress, improves your sleep quality and acts as an antidepressant, says Balch. According to the University of Michigan Health System, the oat plant -- also called Avena sativa -- may also help treat anxiety and eczema. Herbal remedies should always be taken under the care of a qualified health care professional. 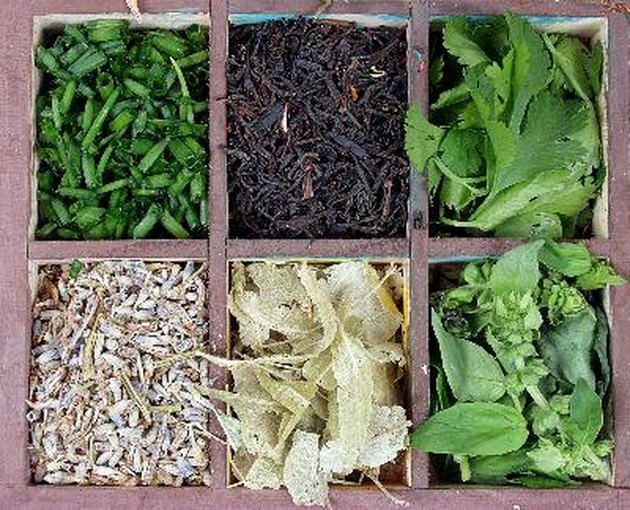 Herbal remedies may act like other agents, including pharmaceutical drugs, and should be treated with a considerable degree of caution. Some herbal remedies may cause unanticipated side effects, especially if they are used incorrectly. If you have an existing health condition -- or if you are taking prescription drugs -- ask your physician about which herbal remedies may best treat your seborrheic dermatitis.